You may wonder why the title of this location includes the name the Swan Inn(?) 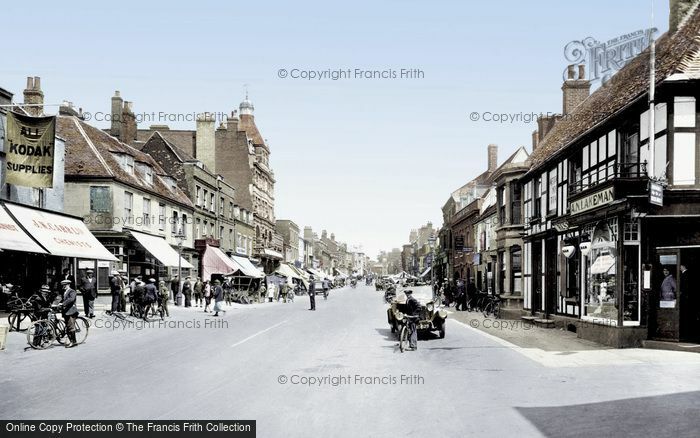 - as there's no Swan Inn in Newmarket in the present-day! ... detailed investigations have shown that at one time this location had been used as the Keeper's Lodgings for the palace of King James I & Charles I in Newmarket ... and if you go back even further still to 1472 that this had originally been the Swan Inn. Details of this history can be found on the page for James I & Charles I's palace. In brief, the reasoning for this historical usage is that in a 1660 survey of the old palace yard (as requested by King Charles II), it's detailed that one of the few buildings left remaining on the site after the demolition by the Interregnum had been 'the old building next the street' - the wooden built Keeper's Lodgings. It's also previously recorded that the Keeper's Lodgings had originally been the Swan Inn. The historian Peter May's investigation of Newmarket in 1472 also intimates that the Swan Inn had been at this location. This is where it gets really interesting - the Swan Inn, dating from prior to 1472, wasn't re-built during its usage as the Keeper's Lodgings, it was only refurbished. It was recorded as 44ft. wide in the 1650 survey of the palace and was still standing at the time of the subsequent 1660 re-survey. A surveyor's map of the old King's Yard when it was purchased by the businessman Stephen Piper in 1831 still shows a 52ft. wide house at this same location. Built before 1472, the Swan Inn was most probably of timber-framed construction ... and looking at photos of Lakeman's bakery that stood here in the 1900s, we have ... a timber-framed building. The timbers probably look too pristine for a 450+ year-old house, but we do know that the building was refurbished in the 1600s and most probably on many occasions after this, so what we most likely have here is a shop with the original Swan Inn at its core. In the old photo above the shop window on the right and the bow-fronted brick section on the left are clearly later additions, but these were in use going back to the earliest census in 1841. There'd been a bakery here since at least 1839 and this always occupied the shop on the right-hand side of the building (No.81-83). Originally the section on the left (No.79 High Street) was a private house, this later became the offices of the Cheveley Park Estate. Slowly over the years the shop extended to take over this area, with the office moving to the rooms above, and by 1954 A.N. Lakeman was in the phone book at No.79-83 High Street. In the early 1900s two brothers, Charles Thomas Lakeman (b. 1873, Shirland, Alfreton, Derbyshire) and Alfred Newton Lakeman (b. 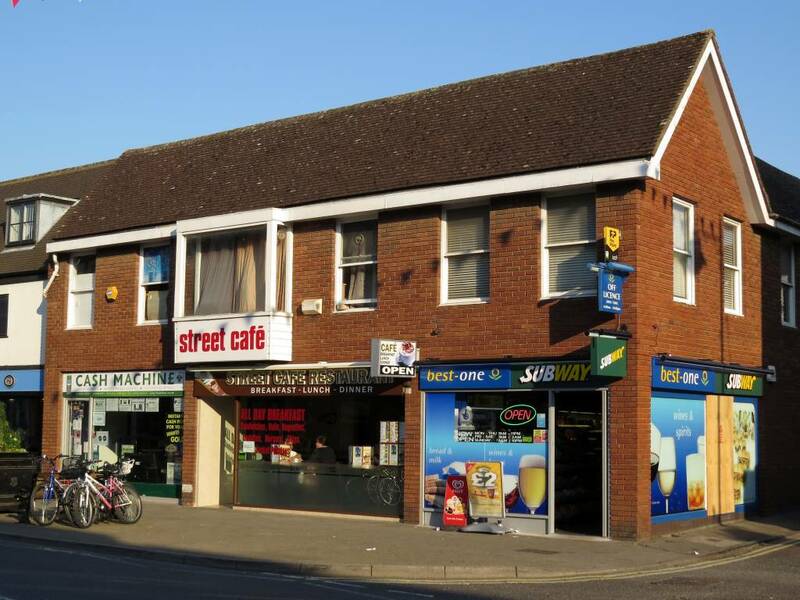 8th December 1877, Woolwich, London) came to Newmarket and set up their bakery business at this location, taking over sometime after 1904 from Gertrude Saville, who's husband William Henry had recently died on 21st July 1902. 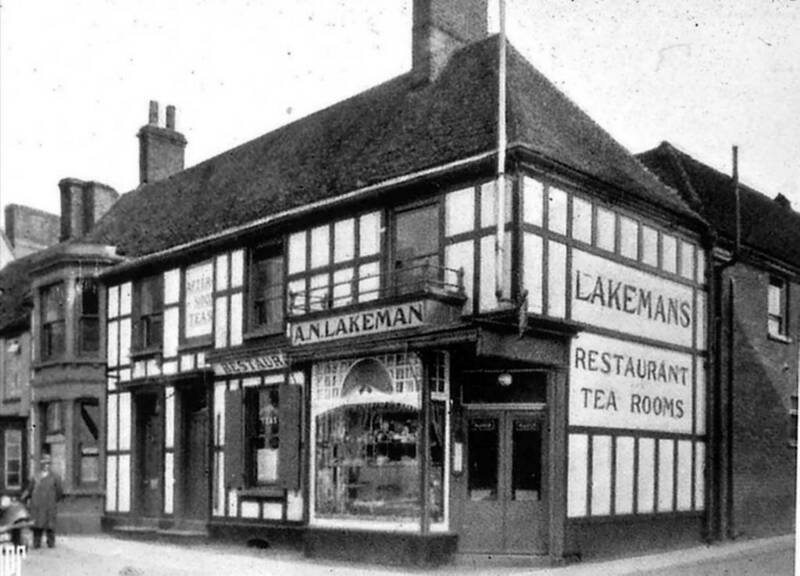 The shop then became known as Lakeman Bros., bakers, confectioner & caterers. The brother's parents were Thomas Young Lakeman and Ursula Ann (neé Isaac). Thomas had been a traveling businessman and had set up various shops, which included being a Coffee Tavern Proprietor and a grocer / greengrocer. The family had never stayed in one place for very long - moving between Shirland, Alfreton, Derbyshire, to Woolwich, London, to Prittlewell, Southend-on-Sea, to Reading, Berkshire, to Putney, London, to Rickmansworth, Hertfordshire and finally to 20 Mill Road, Cambridge, where Thomas Young Lakeman died on 24th August 1902. During his time in Rickmansworth Alfred Newton had been a journeyman baker, so he'd previously started in the trade before he came to Newmarket. In 1911 he was living at 5 Denson Terrace - No.23 Rous Road, working as a baker and confectioner maker. At the same time his brother Charles Thomas was living behind the bakery in Amatola House, Kingston Passage, listed as being the proprietor of a bakery and confectioners. But it seems to have been the younger brother; Alfred Newton Lakeman, who was the powerhouse behind the business, as by 1916 the shop had become known as A. N. Lakeman ... which it remained as all the way up to 1962. Charles Thomas died in March 1938 and Alfred Newton even earlier on 23rd November 1925. Charles hadn't taken over the business though, as Alfred had left it to one of his shop assistants - Ethel Jane Starling, who'd been at his shop from at least 1911. It was then Ethel Jane and her sister Emmie May Starling who ran the bakery from 1925 until the late 1950s. The two sisters lived at 23 Granby Street. 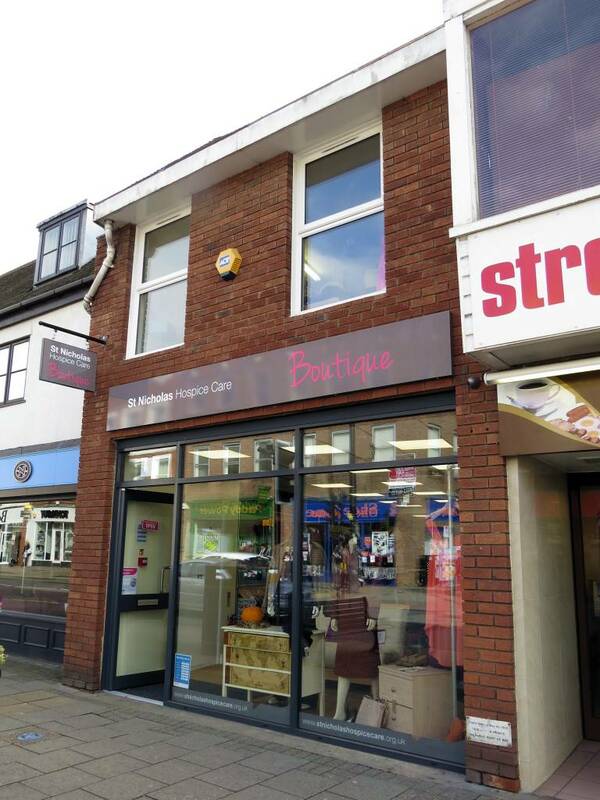 Emmie May died on 27th January 1953, leaving her share of the shop to her sister Ethel Jane, but although she lived until 30th April 1960 it's known that the business had been sold before then to Purdy Foods Ltd. of Bury St. Edmunds. It's not known when the name on the actual shop changed from A.N. Lakeman to Purdy, but the new name didn't appear in the phone book until 1963. They stayed here until 1971, at which time the whole building was then demolished, to be re-built with the new 3 unit brick-built building that stands here now. So the historic building that had existed from before 1472 until 1972 - at least 500 years of history, including royal associations, had been completely destroyed. In the 1974 phone book we have Radiant wallpapers & sundries in No.79 and Peter Dominic, wine merchant in No.83. The Wimpy Bar was in No.81, but didn't appear in the phone book until 1977. Many thanks to Roger Newman for the postcards of A.N. Lakeman in the Photos section below.